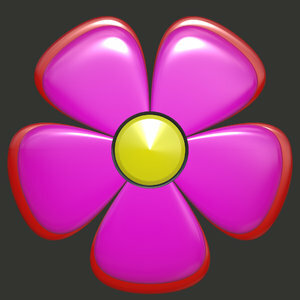 A graphic 3D cartoon flower, big and cheerful. Could be used as a button, icon, texture, or cut out and duplicated. What a great and beautiful flower, very useful !